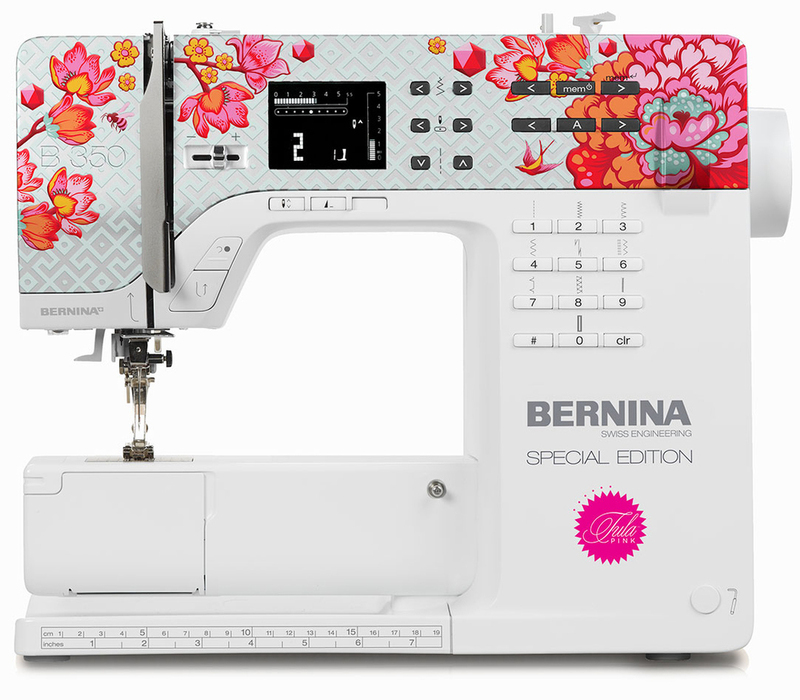 The stylish special model in the BERNINA 3 Series designed by Tula Pink sets new standards in the sewing machine industry and features the latest technology. Standard accessories for the new sewing machine include the large slide-on extension table, the practical Free Hand System (FHS) with presser foot lifter and walking foot, as well as two feet for quilting and patchwork. The B 350 Special Edition sews a variety of fabric types with ease, as well as neatens and embellishes. Two sewing alphabets are available. Should your requirements grow, the model can be upgraded with a wide range of optional accessories.